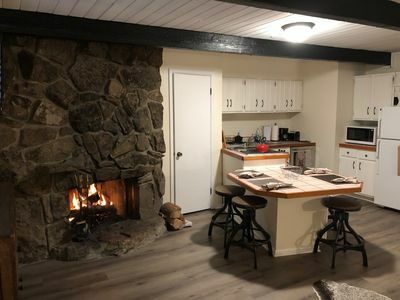 WHY STAY IN A CONDO IF YOU CAN RENT YOUR OWN HISTORIC WILLOUGHBY COTTAGE WITH PORCH AND FRONT YARD RIGHT ON MAIN STREET? 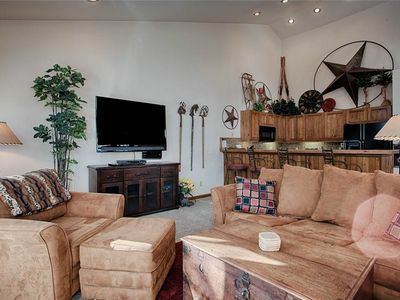 WALK EVERYWHERE & SKI IN/GONDOLA OUT. 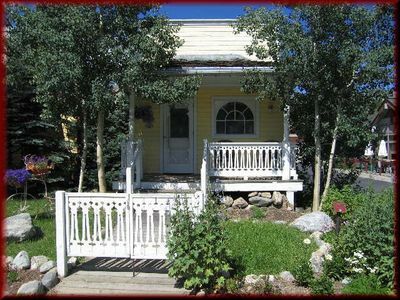 This charming cottage (built in 1891) is in the heart of historic Breckenridge. 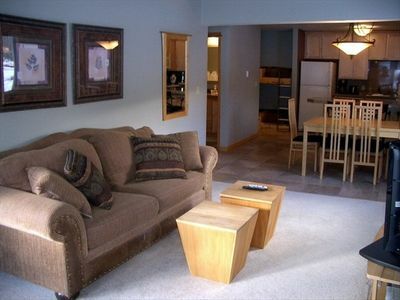 The ideal getaway for a couple, in the very best location at 303 North Main Street. 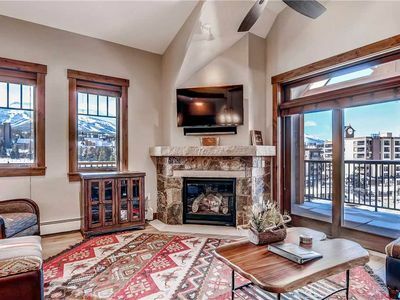 Catch the GONDOLA to Peak 8 (only a 2 MIN WALK from the Cottage) or step right out onto Main street for all the towns shops, restaurants and events. With the 'Skyway Skiway' ski all the way back to the parking lot behind the cottage, leaves a 4 min walk. 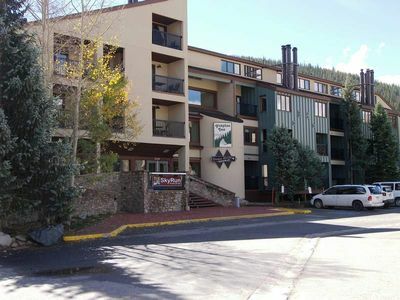 The free SHUTTLE is right next to the Gondola, choose to go to Peak 8, Peak 9 or anywhere else in Summit County. 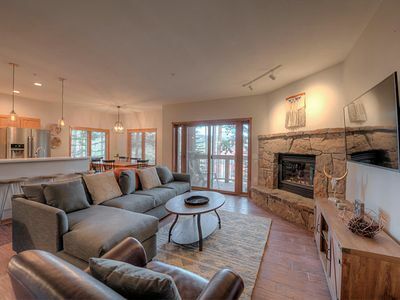 Relax on the porch or in the indoor oversized soaking tub (Jets have been disconnected), cuddle up by the fireplace after a day on the mountains...our Cottage will make for the perfect getaway. 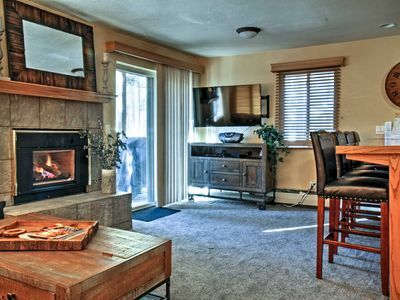 The Willoughby Cottage features a GAS FIREPLACE and a FLAT SCREEN TV in front of the QUEEN BED, a large indoor Jacuzzi tub, oversized shower, his and her sink, a Full Sleeper Couch for kids, dining table and WIFI . 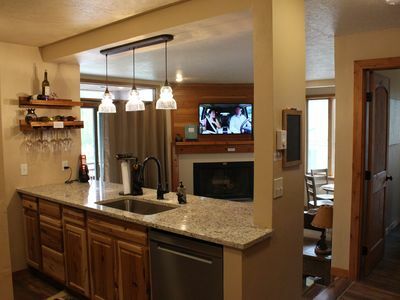 The kitchenette is equipped with a small fridge, 2 electric burners, small oven, toaster, microwave, coffee machine, tea kettle, dishes and cookware for all smaller cooking needs. PRIVATE PARKING PLACE right by the entrance. Locals favorite breakfast place Daylight Donuts (full breakfast) & the well known Blue River Bistro for the best Martinis and great food are right next door! Important: NO Phone and NO washer/dryer available at the Cottage. The Willoughby Cottage dates back to 1891 when grocer R.F.Willoughby had it built. His son Ralph Willoughby and his bride Maude spent their first months of marriage in this small frame house. 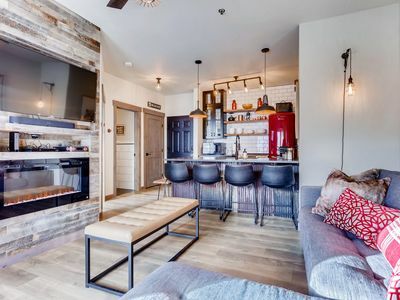 At the time, the honeymoon suite was a remodeled horse stable that occupied a spot on the property owned by the groom’s parents at 322 South Main Street. 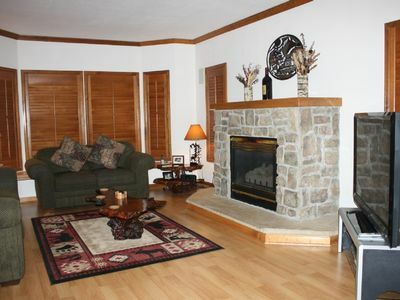 The lovely cottage was moved to the current location in 1990 and restored as a romantic cabin. 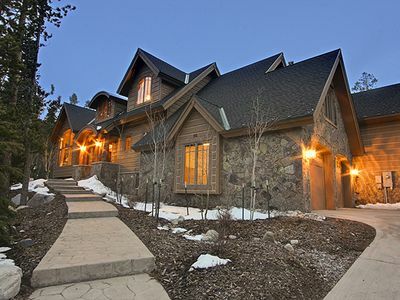 The Cottage is featured on the Breckenridge historical walking tour. 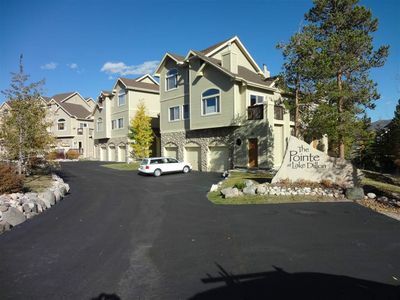 In the summer, use the bike/walking trail that goes from Breckenridge to the town of Frisco. 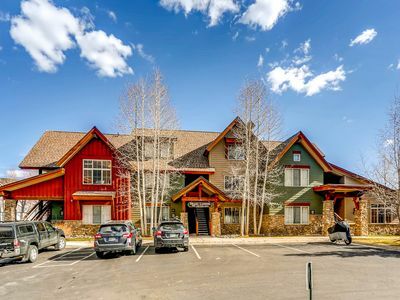 Minutes to 'City Market' for groceries and the Town of Breckenridge’s Recreation Center with its full weight room, rock climbing wall, indoor pool, indoor hot tub, out door hot tub, indoor running track, indoor and outdoor tennis courts. 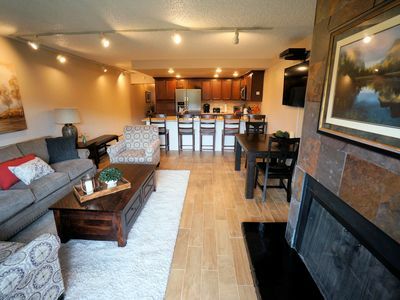 Walk to Main St, Outdoor hot tubs/pool, Fully stocked kitchen, Attached heated garage, Sleeps 8! 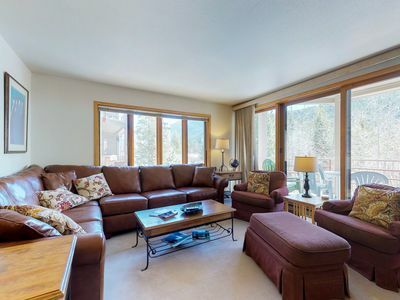 Beautiful Breckenridge Condo Across From Gondola. Walk Everywhere! 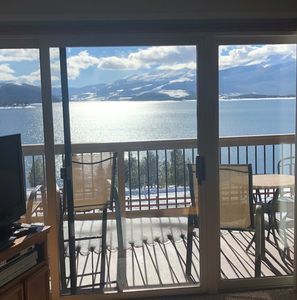 Breckenridge Condo w/ Deck & Views - Walk to Lift! 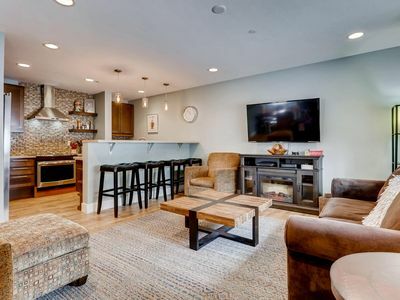 Fresh and Airy Condo on French St with Hot Tub! 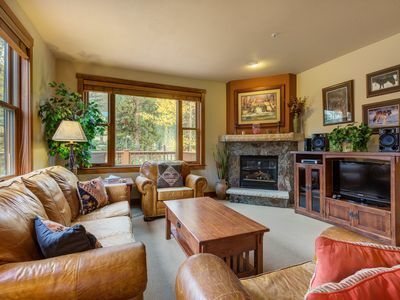 Mountain-Industrial Getaway Close to Town!